Aren't they cute? (I just used a ladybug cookie cutter.) They are so simple to make! Kids can easily help out. Of course you can make some Heart Tarts too! I filled all of the pops, bugs and tarts with my daughter's homemade strawberry jam~YUM! You may fill the tarts with store-bought jam or whatever you'd like: marshmallow creme, peanut butter, mousse, Nutella, or a combination...the sky's the limit! I think next time I'll try lemon curd! Whatever you decide, get in the kitchen and spread the LOVE! 1. Heat the oven to 400 degrees and cover a cookie sheet with parchment paper. 2. On a floured surface, roll out the piecrust to a 1/8-inch thickness. Use a large heart-shaped cookie cutter to make pairs of hearts, gathering the scraps and rerolling the dough as necessary. 4. Bake the hearts on the prepared cookie sheet until their edges are just beginning to brown, about 15 minutes. Let them rest on the sheet for a few minutes, then move them to a rack and let them cool completely. 5. Whisk the first four frosting ingredients in a medium bowl, adding more water a teaspoon at a time if needed to make a smooth, creamy frosting. Add a few drops of food coloring and mix until well blended. Spoon the frosting into a ziploc bag, snip off a corner, and squeeze it onto the tarts. Top them with nonpareils or colored sugar. 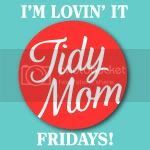 Hands on time:25 minutes Total time: 1 hour Linked to Tidymom's "I'm Lovin' it Fridays"! and Lisa's "Sweets for a Saturday". Come join in on the fun, and great ideas! I've always wanted to try homemade pop-tarts. I bet they are so much better than store-bought. Great kid project! I love this!! Can't wait to try it filled with chocolate and marshmallow creme! oh my goodness! Those are Too too cute! :) Love it! You inspired me so much with these, that I just made my own version..of carrot hearts. Love this post, so sweet and really yummy too. The love bugs are so cute! I'm sure my baby girl will get excited if I make them! :) Love your decoration on those heart tarts! So festive. Oh WOW!!! The cuteness is overwhelming! I love love these, the love bugs are the cutest ever. This is going on my to-bake list for sure! I am in looooove! These are all too cute and I bet they tasted fantastic. I love the look of the frosting, it looks like pop tart frosting. One more clever one. You are the bestest mom! really cute, I love mini pie tarts and with strawberry jam (homemade not less) oh DELICIOUS! By the way, I'm co-hosting a new weekend foodie blog hop called Feed Me Tweet Me Follow Me Home and I'd love it if you would come along and join in! Have a wonderful weekend! Cute ideas! I love the little heart bugs, they are adorable! These are the cutest things I have seen in a while! Great ideas for Valentines day. I love that you combined my latest obsessions, cookie decorating and cake pops! I found this post via Sweets for Saturday #2. I really love your entry! Those lady bugs are so adorable. Oh Sue these are soooo fun!! I don't get FF mag anymore, guess I should resubscribe! What an adorable treat! I'd have never thought of this. And everything tastes better on a stick in my opinion 8). I'm also glad I'm not the only one already posting heart-shaped things :). Oh, what perfect little love bugs!! That's a great take on a great idea. I saw those, too. It's nice to see that you go beyond the "that's a cute idea, I think I will make them sometime" stage to actually doing them. They look great. Those are sOo cute!! :) Love it! Another inspired post! I used to subscribe to Family Fun when my girls were small and I loved it! They always had the cutest ideas, and obviously they still do. These are adorable and I bet they're delicious with the homemade jam. Such a cute idea. This would be a fun Valentine's breakfast. Awww not only are they home made but they're in a heart shape too! How adorable! These tarts are adorable! I bet they are so much better than what you can get at the store. You are so clever and talented! Thanks!! Absolutely adorable! And delicious sounding! You are too clever!!! I love them!!! Love tarts and these are all super cute. Come on over and enter my first give away. The tarts look so so so yummy! Want some! With Valentine's around the corner I knew that you'd have something wonderful up your sleeve. I love the tart and the lips! How will I choose? You never fail to amaze me with how many creative ideas you can find. Seriously, you just have a knack first to find the ideas and then to execute them so perfectly. Thank you for always coming to link up your sweet little creations at Sweets for a Saturday. What a fantastic idea! I have always wanted to make my own pop tarts but never even thought of changing to shape as well as the flavour. Well done!